The City of Windhoek is also traditionally known as Khoekhoe (hot springs) and Otjiherero (place of steam) with much conjecture over the years as to where the name Windhoek came from. It was first mentioned in a letter dated 12 August 1844 from Jonker Afrikaner to Joseph Tindall with one theory suggesting that Jonker named the town after the ‘Winterhoek Mountains’ at Tulbach in South Africa where his ancestors lived. Because we have such huge volumes of searches daily, we are able to show you in the table below, some of the amazing prices on offer on our sight for Windhoek flights during the year. These are actual flights booked by our customers with flights from windhoek to johannesburg, flights from lanseria to windhoek and flights to windhoek from cape town being some of the most popular. Windhoek’s cold season, late May to late July, is the preferred time to visit with pleasant daily temperature highs of 22°C and below. The coldest day in early July offers a high of around 20°C with lows around 6°C. Precipitation has a 1% chance at some point during any given day. 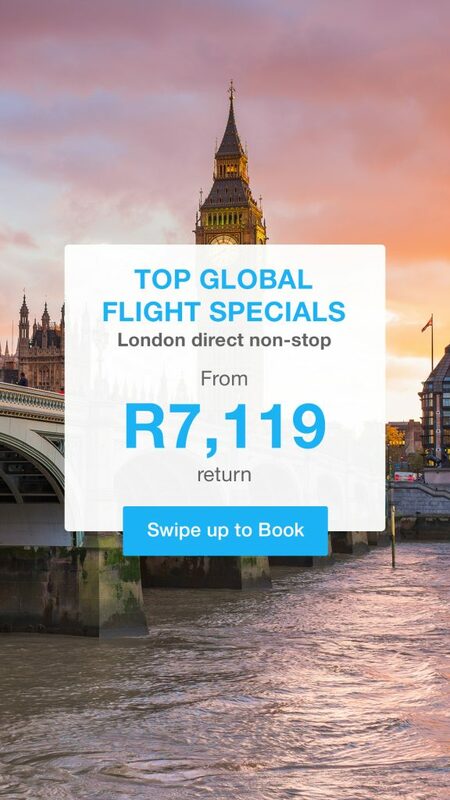 Cheap flights to Windhoek will be harder to find this time of year. 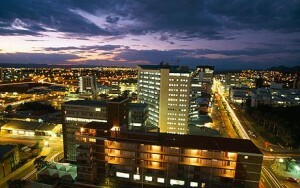 Remember that peak time do not allow for cheap flights to Windhoek. Late September to early January can be unbearably hot with average daily highs above 30°C and lows around 18°C with a daily 24% chance of precipitation. Early September experiences the driest period with humidity dropping below 11%, while the most humid period is early March when humidity exceeds 84%, 3 out of 4 days. Accommodation for visitors or those starting over-land safaris from Windhoek is available from backpackers, top hotels, lodges, B&B’s, classy guesthouses and a castle, today known as the Heinitzburg Hotel. Built in 1914, the castle’s refined elegance, charm and luxury has successfully been preserved by the hotel that offers 16 spacious en-suite rooms, all with splendid vistas of the city and surrounding Khomas Hochland mountains. If fully booked relax with coffee and a superb choice of decadent cakes or a sun-downer cocktail at the hotel’s ‘Garden Terrace’ or treat your loved one to a perfect night of romance with fine dining at Leo’s At the Castle, one of Windhoek’s best restaurants, from a mouth-watering menu of international and French cuisine. In the township of Katutura, the Xwama Cultural Village and Traditional Restaurant provides delicious meals with African and Namibian flavours while at Joe’s Beerhouse you can indulge in wholesome Namibian and German food and for Portuguese food, Kubata serves outstanding dishes. Windhoek is the largest city and capital to Namibia and still one of the safest countries in the world, but it’s still best to keep your doors locked and be alert to scams. Not an alluring city, it does have historical aspects of interest such as the gothic style Lutheran church Christuskirche that opened in 1910. The Alte Feste, an Old Fortress built in 1890 that houses the National Museum including the Reiterdenkmal statue, commemorating Germany’s victory during the 1904 to 1907 war. Next to Alte Feste is Windhoek’s Public Library’built in 1925. Tourists can view and purchase art work by local artists from numerous galleries that hold events and exhibitions throughout the year and not to be missed is the National Art Gallery of Namibia, the Atelier Kendzia, the House of Art or the Omba Gallery. Visitors and locals frequent pubs, nightclubs and restaurants including live plays and musical concerts at the ‘Warehouse’ or the National Theatre of Namibia that is also host to productions from Europe and Africa. The majority of visitors get around with taxis, motor cycles or vehicles with many locals riding bicycles. Windhoek’s railway station only provides connections to Okahandja (north), Rehoboth (south) and Gobabis (east) with travel being slow as the train stops at all posts and has both freight and passengers coaches. Visitors wanting to hire a vehicle when landing at Windhoek’s Hosea Kutako International Airport (45km east of Windhoek) have choices of rental companies including Avis, Thrifty, Budget or Hertz, alternatively Shuttle Namibia can be booked for an airport transfer. Eros Airport five kilometres from Windhoek, is the busier of the two airports in terms of aircraft movement and the hub for leisure travel servicing mostly light aircraft. Car rentals companies based at Eros include Europcar, Bidvest and Avis.